A walk-in interview will be held on 28.7.2017 (Friday) at 11.00 am for the position of one JRF/SRF in DBT, Govt. 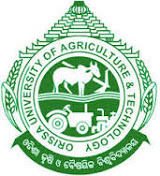 of India sponsored project entitled "Use of in vitro culture technology for development of suitable cultivars of sesame (Sesamum indicum L.)” operating in the Department of Plant Breeding and Genetics, College of Agriculture, Bhubaneswar. The position is purely temporary and co-terminus with the completion of project period or can be terminated at any time without prior intimation or assigning any reason thereof. The candidate selected will not have any right for absorption in any capacity in OUAT/ICAR/any constituent department or colleges. Desirable: Two years of experience in plant tissue culture, biochemical and molecular biology based technological work, plant hybridization techniques, field based activities, data recording etc. with a good knowledge in computer operation. Emoluments: As per DST OM No. SEED/TIASN-2/002/2016 dated 20.12.2016 subject to satisfactory performance and release of funds from the DBT, Government of India. Eligible and interested candidates fulfilling the above criteria are required to attend the walk-in interview with filled in application form given below, one set of attested photocopies of the certificates and mark sheets, one recent passport size photograph signed by the candidate, other relevant documents and the originals for verification. The candidate has to register on the day of the interview between 10:30 am to 11:00 am only at committee room of the Directorate of Research, OUAT, Bhubaneswar. No TA/DA will be paid for appearing in the interview.